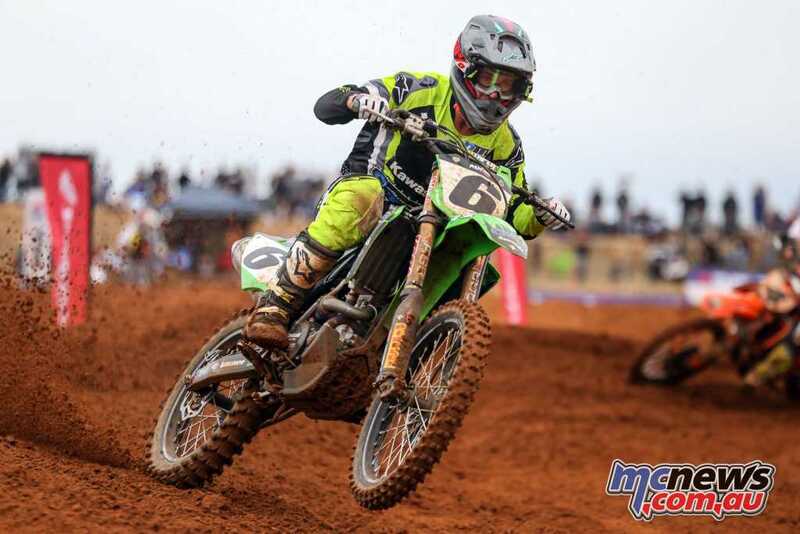 Round 5 of the MX Nationals took place at Murray Bridge over the weekend, with Dean Ferris once again dominating the proceedings, to end the round with 67 points, while Kade Mosig claimed the second race win, and Kirk Gibbs took second overall for the round. 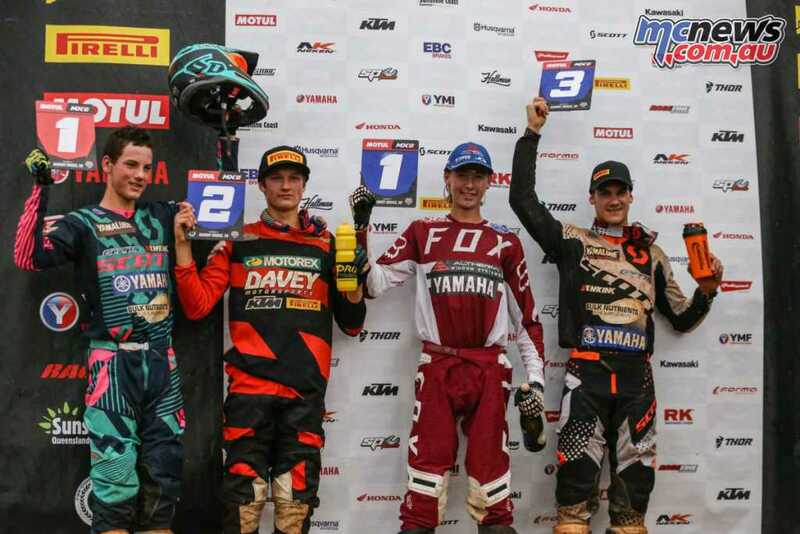 It was a hard battle, but Ferris maintained his overall record with a 1-2 result, while rivals Kirk Gibbs (KTM Motocross Racing Team) and Mosig rounded out the overall podium in the orange, loamy Murray Bridge soil. 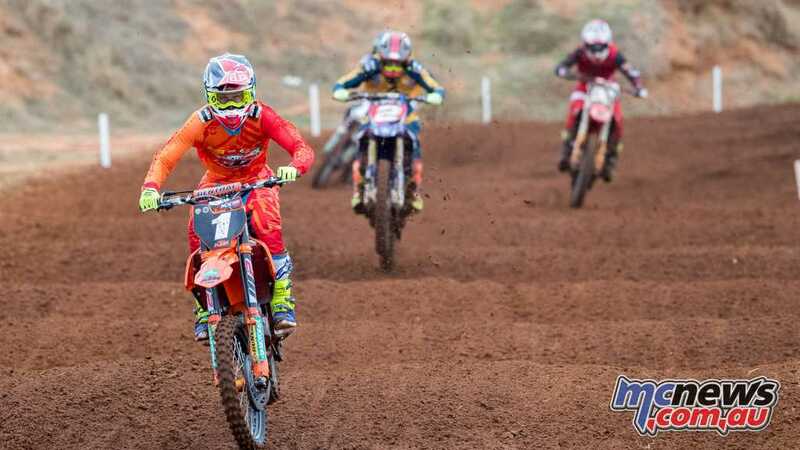 When the gate dropped on the opening Thor MX1 moto, KTM Motocross Racing Team’s Luke Clout surged to the front of the pack and commanded the race for 25 minutes while Ferris clawed his way through the pack. With just a handful of laps remaining, Ferris made his move for the lead, and held a desperate Clout at bay to eventually win by five seconds. 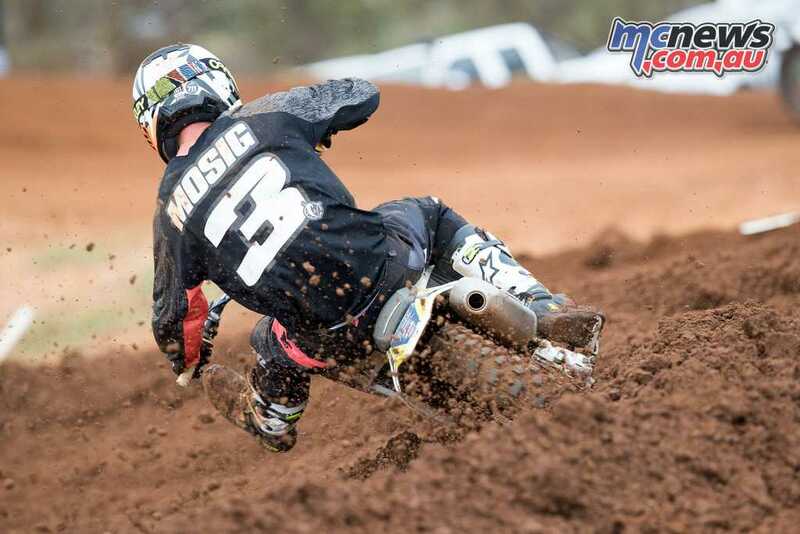 A goggle-less Gibbs finished third, while local hero Brett Metcalfe (Penrite Honda Racing) and Kiwi Rhys Carter (Complete Parts Kawasaki) filled the top five. In the second MX1 outing, Mosig led from the first turn on his way to his first race win of 2018, while fending off immense pressure from Ferris for the race’s duration. 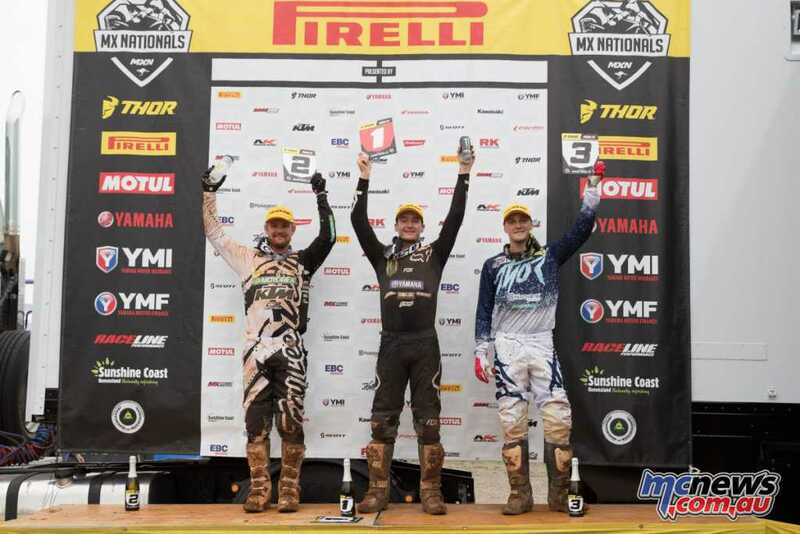 Gibbs finished a consistent third, more than 20 seconds behind the leading pair, trailed by an improved Dylan Long (CDR Yamaha Monster Energy Racing Team) and Brett Metcalfe. 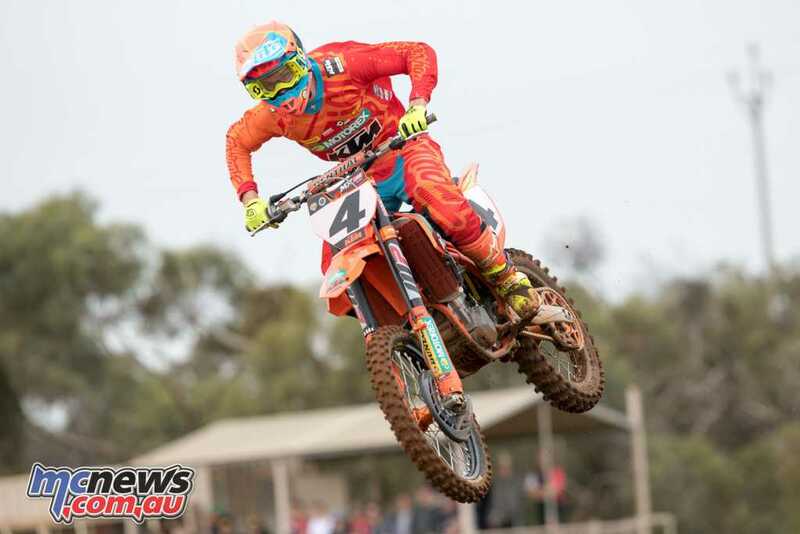 After two eventful motos, just four points separated the top four positions, as Todd stood atop the podium, with Davey Motorsports KTM’s Hamish Harwood in second. 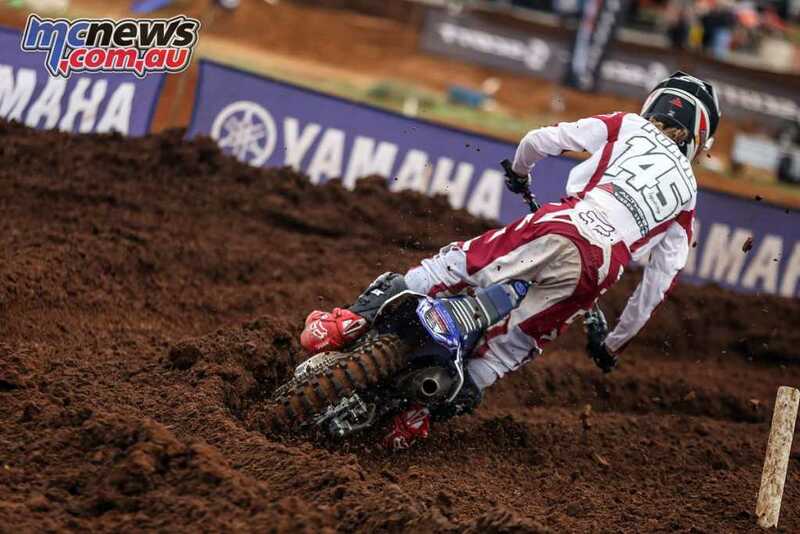 A memorable day for class rookie Jy Roberts (Husqvarna) saw him close out third position. 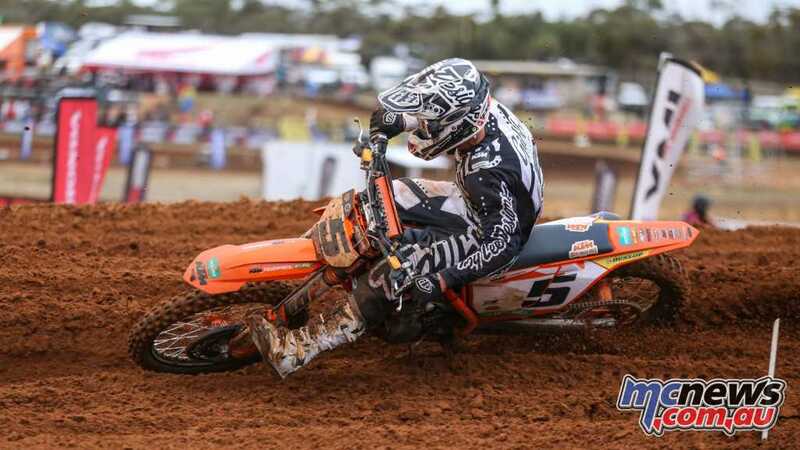 KTM Motocross Racing Team’s defending MX2 champion Egan Mastin dominated the opening race with a wire-to-wire victory, enjoying a nine-second lead over his rival Todd, who had his hands full keeping third-placed Kyle Webster (Penrite Pirelli Honda CRF Racing) at arm’s length. 2017 round winner and fastest qualifier Hamish Harwood crossed the finishline in fourth, with Dylan Wills (DPH Motorsport Husqvarna) fifth. 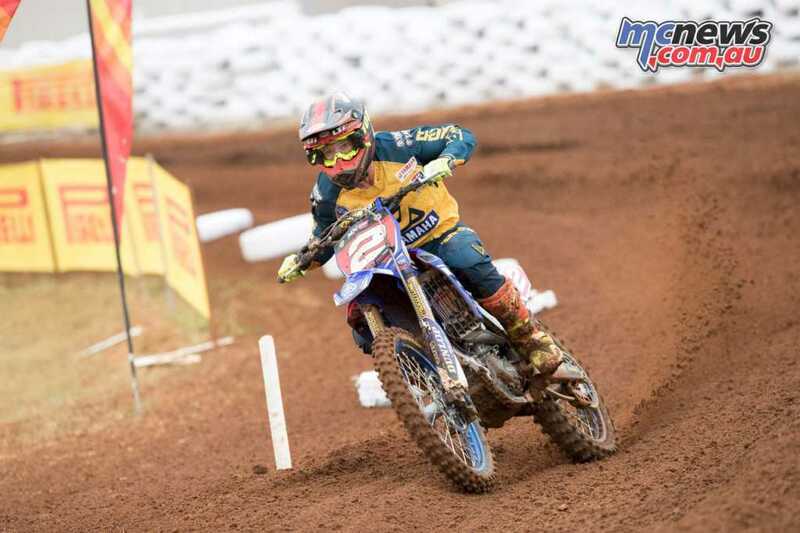 In the Pirelli MX2’s second outing, young Jy Roberts snatched the holeshot and never looked back on his way to a break-out race win more than seven seconds ahead of the hard-charging Harwood. 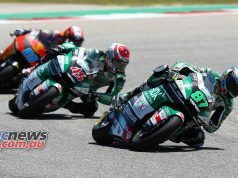 A consistent Todd placed third, while Webster finished fourth and Aaron Tanti (Complete Parts Kawasaki) rounded out the top five. 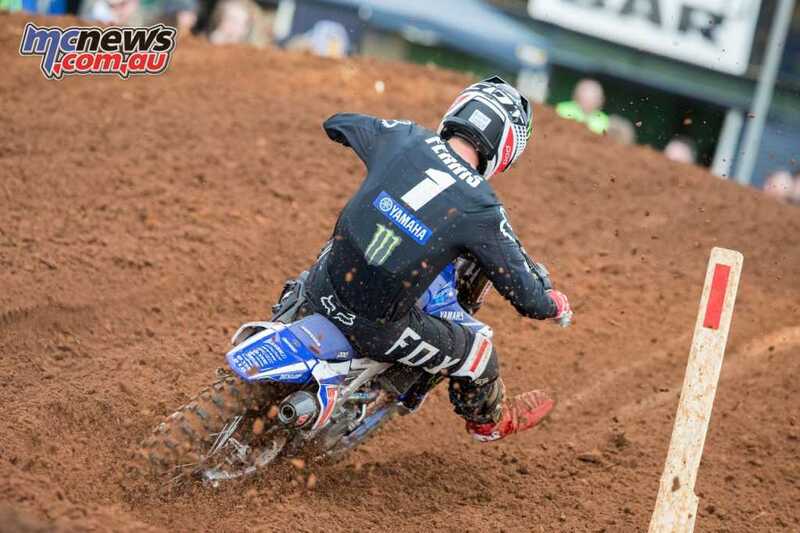 After winning both rounds of the Motul MXD class at Wonthaggi last weekend, the floodgates have opened for Altherm JCR Yamaha Racing’s Maximus Purvis, as he took a perfect pair of race victories on his way to his third overall on the trot. 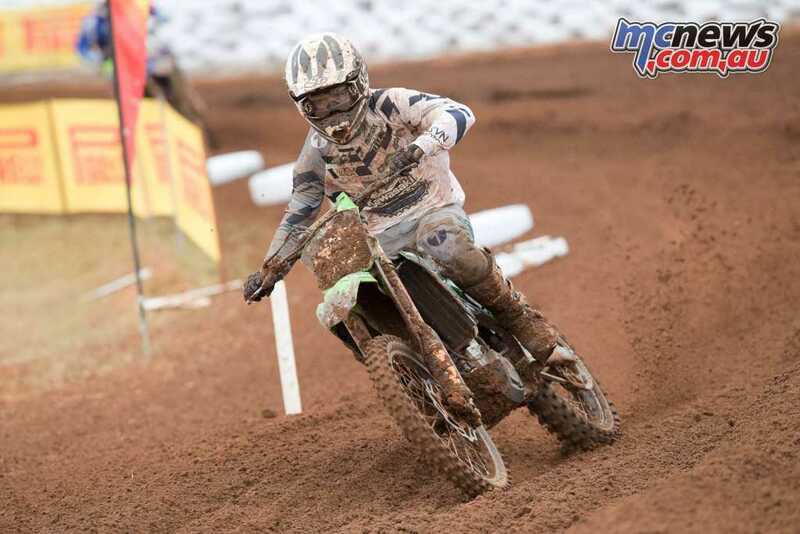 After topping qualifying, Purvis stalked Fogarty for the entirety of the opening Motul MXD race before pulling the trigger on the penultimate lap, claiming a 0.6 second win. 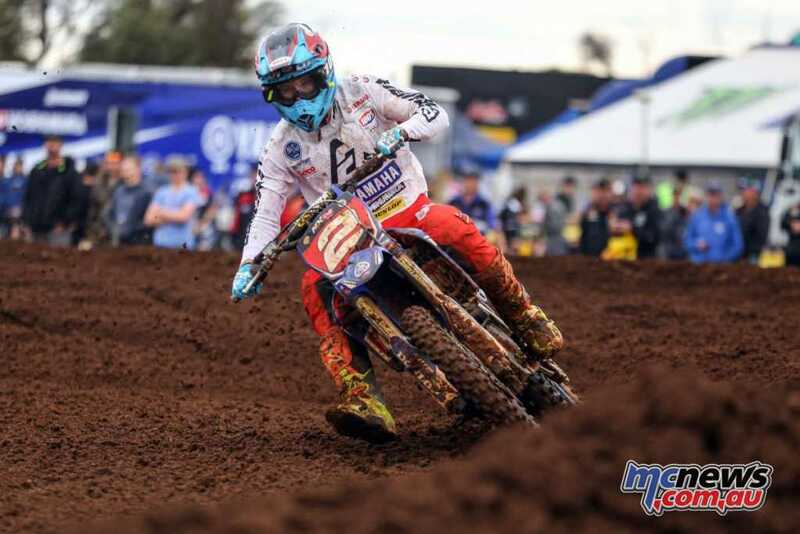 Mackay finished 12 seconds back in third, ahead of an impressive come-from-behind effort from Riley Dukes (Husqvarna) and former series leader Bailey Malkiewicz (Bulk Nutrients WBR Yamaha). Purvis took command of the second race from the opening lap and held on for a hard-earned win, although he was again kept honest by Fogarty all race long. Mackay again finished third after clawing his way from 11th on the opening lap, while Dukes finished fourth and Rhys Budd (Honda) fifth. A roller-coaster day for the Yamaha Rising Star Rookies saw KTM-mounted Blake Fox claim a tight Murray Bridge victory from Corban Weinert (Husqvarna) at Murray Bridge. The pair both finished the day on 60 points, with Yamaha’s Liam Andrews filling the final spot on the podium, just one point behind. Andrews led all eight laps of the opening race to win from Korey McMahon (KTM) and Weinert. Fox finished fourth after running as high as second early on, with Dante Hyam (Honda) placing fifth. 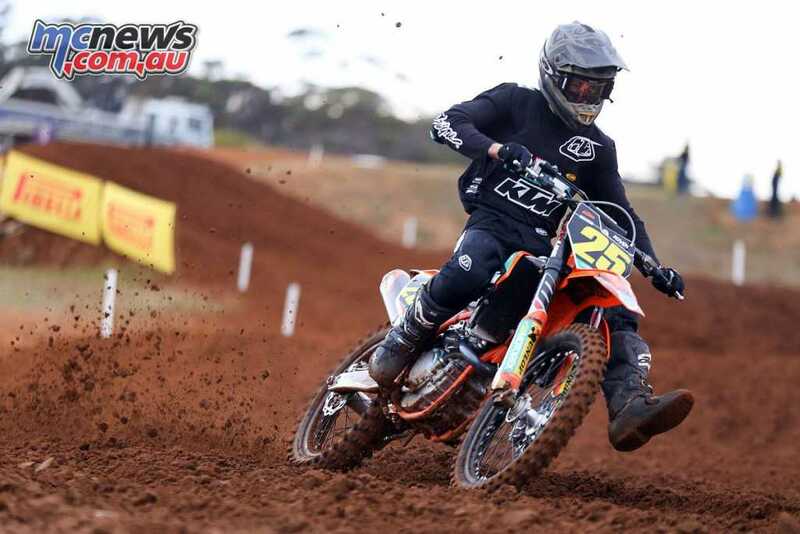 In the Rookies’ second outing WA KTM racer Regan Duffy took the moto honours after passing Fox late in the race. 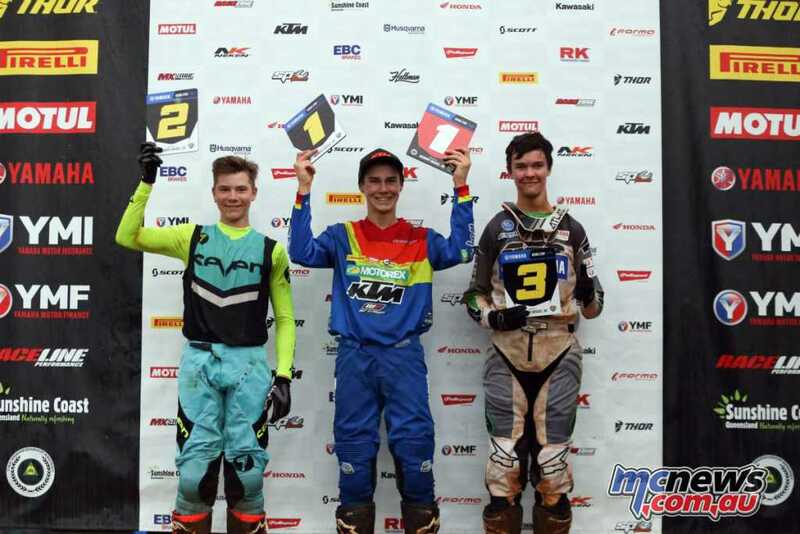 Weinert again finished a consistent third, ahead of a hard-charging Noah Ferguson (KTM) and Levi Rogers (GYTR Yamaha Junior Racing). 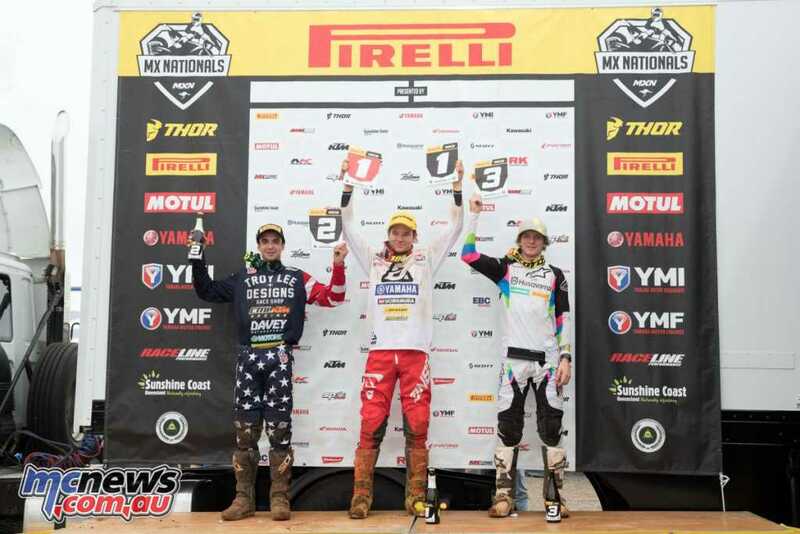 The 2018 Pirelli MX Nationals now heads into its traditional mid-season break. 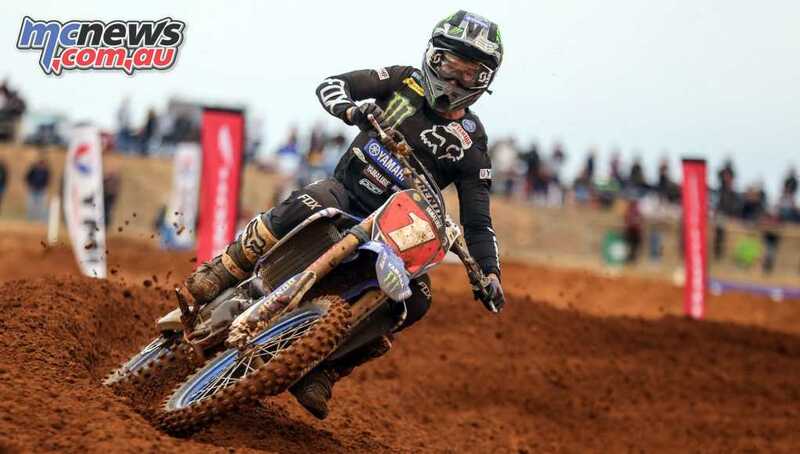 Round six will be held at Conondale, Queensland, on Sunday, 1 July.